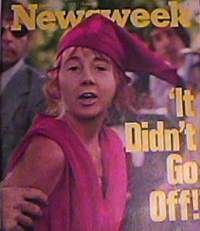 "The most publicized, if not the most bizarre, trial in the history of the Eastern District of California"
On Tuesday, September 24, 2013, the major participants in the 1975 trial of UNITED STATES v. LYNETTE FROMME gathered in the ceremonial courtroom of the Robert T. Matsui United States Courthouse, in Sacramento, California, to share their memories of that historic trial. 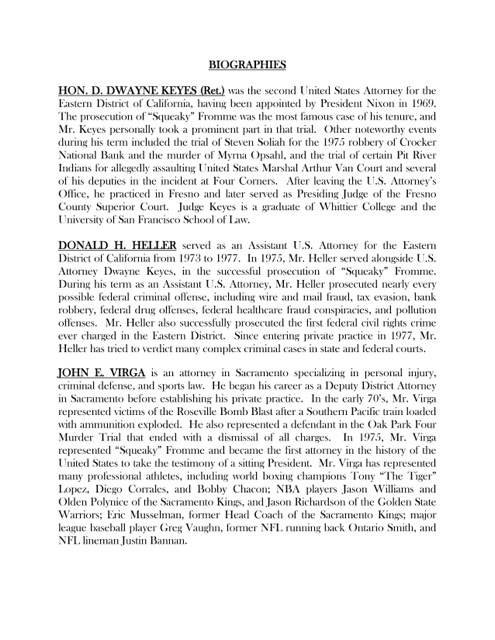 The panelists included Dwayne Keyes and Donald Heller, the United States Attorney and Assistant U. S. Attorney who prosecuted the case; John Virga, Fromme’s court appointed defense counsel; Doug Duncan, the Secret Service Agent in charge of the Sacramento office at that time; and Jess Bravin, Supreme Court Correspondent for the Wall Street Journal, and author of the biography Squeaky, the Life and Times of Lynette Alice Fromme. Senior United States District Judge William B. Shubb served as moderator of the discussion. Because he was the alleged victim of the crime, the testimony of President Gerald R. Ford was taken at the Executive Office Building. in Washington, D.C., and used via video recording at the Sacramento trial. It was the only time, before or after, that a sitting President testified as a witness in a criminal trial. 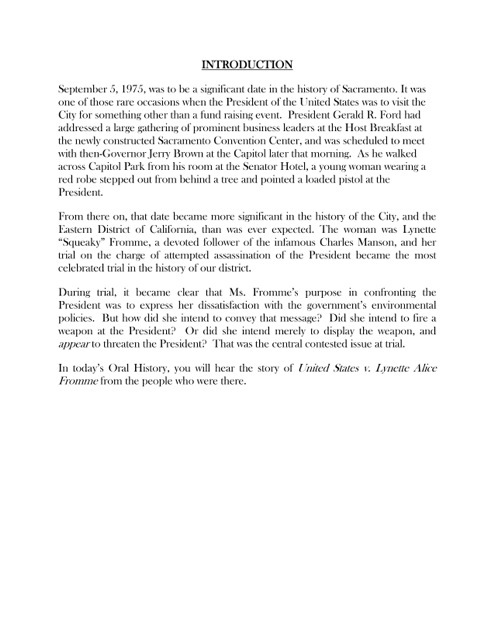 Through the efforts of the Historical Society, the recording of the President's testimony was ordered unsealed after 38 years, and is now available for public viewing at this link. Following the 90 minute presentation, a reception was held in the Anthony M. Kennedy Library and Learning Center, on the first floor of the courthouse. 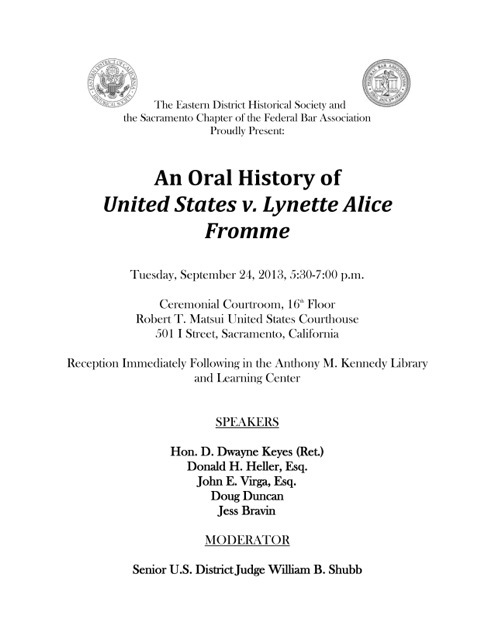 Others in attendance included Mrs. Martha MacBride, wife of Chief Judge Thomas J. MacBride, who presided at the trial; Sacramento attorney Steven Felderstein, who was law clerk to Judge MacBride at the time of the trial; former Sacramento Sheriff and City Councilman Robbie Waters, who as a police lieutenant participated in transportation to jail and interrogation of the defendant following her arrest; Warren Steves, who was one of the Deputy U. S. Marshals who transported the defendant to court each day during the trial; and several persons who were in Capitol Park on September 5, 1975 and witnessed the infamous incident which gave rise to the trial. 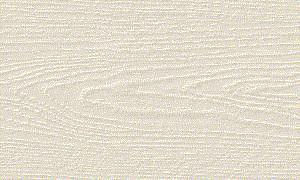 The panel discussion was televised by CSPAN, and aired on CSPAN3, the American History Channel, on November 9, 10, and 11, 2013. Their 90 minute show may be viewed on their webpage at this link. The event was also covered in The Sacramento Bee. 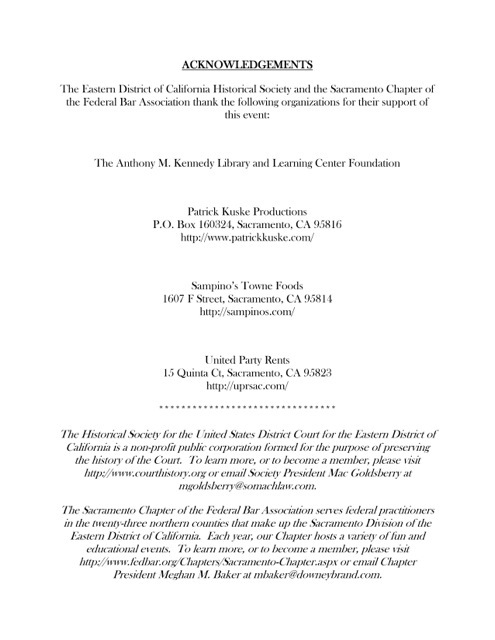 The Eastern District Historical Society was incorporated on February 9, 2001 as a nonprofit public benefit corporation for the purpose of preserving the history of the United States District Court for the Eastern District of California. Membership is open to all interested persons. 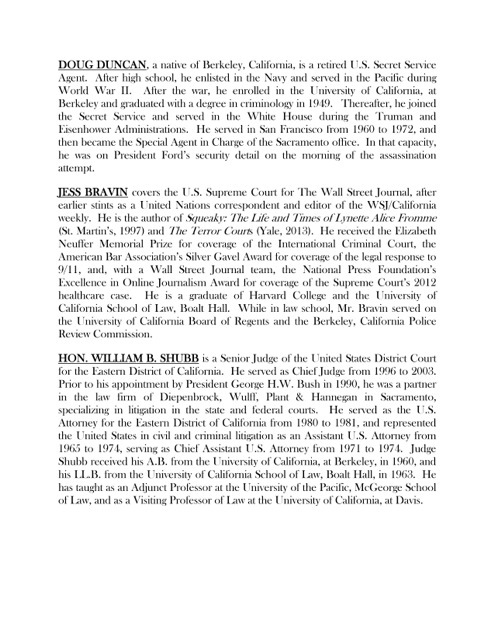 © 2013 United States District Court for the Eastern District of California Historical Society.